My brilliant editor recently got in touch with me to tell me how much she enjoyed a particular passage in my novel, Sephora’s Revenge. She wanted to know if it had been drawn from a real experience. Though there was one section in Unfallen: Exile that contained an image from an experience of mine, the passage she asked me about was a total figment of my imagination—my fiercely over-active imagination. Which brings me to the robots. While riding my bike in my neighborhood this past summer I noticed a sign off the main road that I would have never noticed in my car. I didn’t give it my full attention until I became curious as to whether the nicely paved path that is flanked by the sign might be a short cut through an idyllic wooded area between where I was and where I wanted to go. 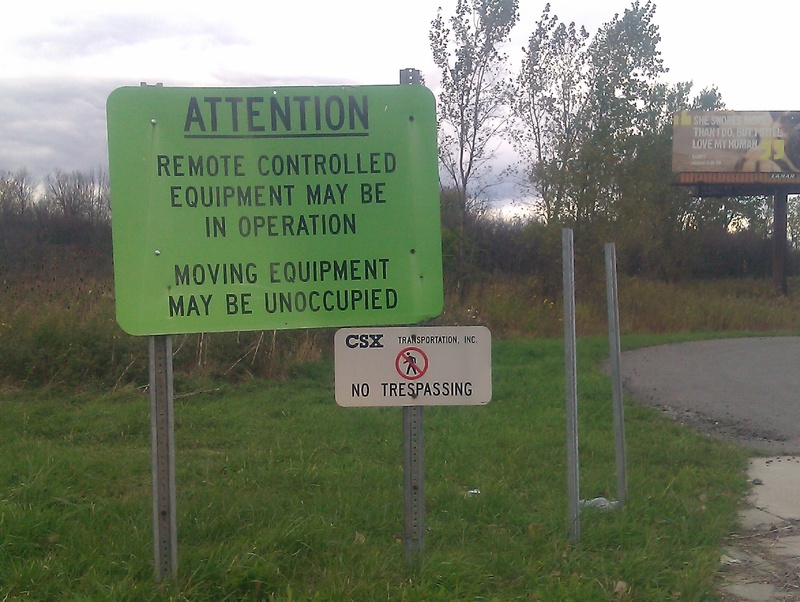 I read the big sign, noticed the little sign, and after giving the matter some thought came to the obvious conclusion. There are robots running amok in those woods. I am really curious about the robots, but I’m convinced that these are not the friendly type, programmed with Isaac Asimov’s “Three Laws of Robotics” that make it (almost) impossible to hurt humans. No indeed. The cautionary nature of the signs clearly indicates these are precursors of Terminator-type robots. I quickly nixed the idea of exploring a possible short cut. Now I can’t pass those woods without keeping a sharp eye out for a robot gone berserk, ready to seek revenge on the species that enslaved it. If I spot one will I have enough time to call the authorities to avert disaster? Maybe I won’t be on hand when they escape and there will be a knock at my door one day…ding, dong, killer robot calling! Come to think of it, my dogs have been barking a lot more vociferously at people on the street lately. Now I must wonder, are the dogs barking at my human neighbors? Or is it too late—and the robots are already among us? will you mind if I show this on my twitter?